I posted some time ago about my dismay regarding the hole in the ground or “fire pit” the neighbor kid dug partially on my property. After contacting the fire department and expressing our concerns to them and to the neighbor, we got the kid and his friend to stop burning pallets – at least when we’re home – but the hole remains. It is an ugly site to behold. The teens that hang out over there have destroyed the grass and with the wet winter plaguing our part of Virginia, I’ve spent the better part of the last two months gazing at a mud pit. The view depressed me so much, I stopped opening the blinds. But not anymore. During a seventy-two hour rain free period, I snuck out and added a shrub. My husband feared a border war, but I planted it well onto our property. If it hangs over to theirs, they can trim away without destroying the trunk. The digging was hard and the hole flooded with water once I dug past eight inches. I don’t recommend digging on a breezy forty degree day normally, but my effort was worth it. The rain returned and the back portion of the yard is more puddle than grass, but now when I look out, I see my shrub. I see peace and privacy. I smile. I hereby declare my summer gardening over. The vegetable harvest is done. The only thing on a plant is an inch and a half long red pepper that never grew big enough to harvest. This year was more successful than last. Our four cucumber plants produced over a dozen tasty treats. 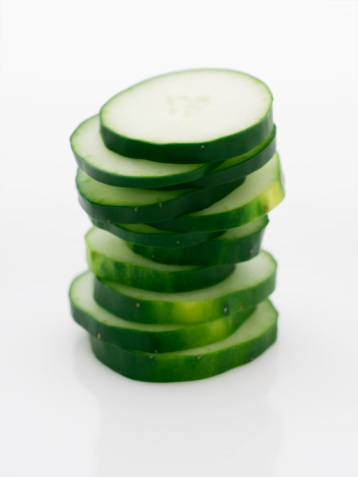 The kids loved eating sliced cucumber still warm from the sun. I wish the other plants had been half as productive. From four green pepper plants, we harvested a single green pepper in addition to the non-grower. Of the eight tomato plants, only the patio tomato provided produce in the form of nine two to three-inch round tomatoes. The herbs grew and we had fresh basil most of the summer. Still, as I assess this past season, it goes in the failure category.